Celebrity chef, Mario Batali, is in trouble yet again after he publicly apologized for sexual misconduct and included a recipe for a cinnamon bun in the letter. According to Us Weekly, Mario’s apology contained a link to a page detailing the ingredients to one of his pastry items. Batali, while expressing his love for Italian food, tradition, and hospitality, said he hopes to regain the trust of his fans who have granted him the forum to share his knowledge with the world. At the bottom of the note, he included the recipe for Pizza Dough Cinnamon Rolls. After he published the letter on Friday, a social media backlash ensued with E! News reaching out to his representatives for a comment. 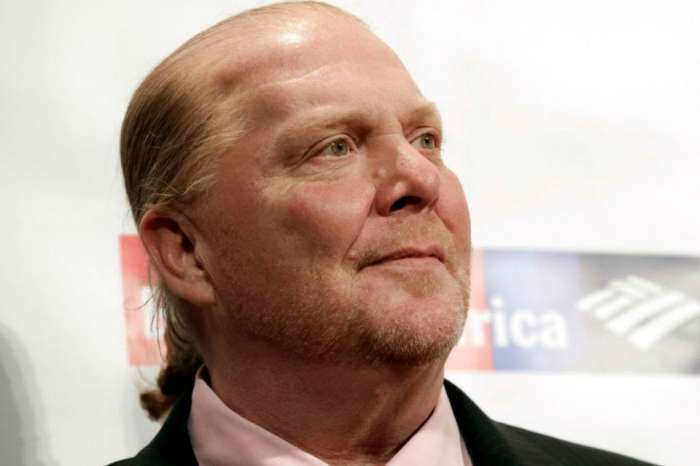 As you may know, ABC announced that they were relieving Batali of his duties at the network due to the allegations that he had inappropriately touched four women over the course of two decades. Additionally, according to a report from Fox News, Target and Walmart announced they will drop their Mario Batali-branded items from their stores because of the allegations of harassment against him. Mario is just one of many men to resign from their respective positions in recent months, with the most famous being Charlie Rose, Matt Lauer, Louis CK, Kevin Spacey, Harvey Weinstein, and many others. Carter Oosterhouse also faces allegations of sexual assault as well, with the actress and his wife, Amy Smart, coming out to defend him, while stressing the importance of personal responsibility in the process.